Last month, proposed 2013-14 spending plans in six Long Island school districts were rejected by voters, and today residents are heading back to the polls to recast their votes. 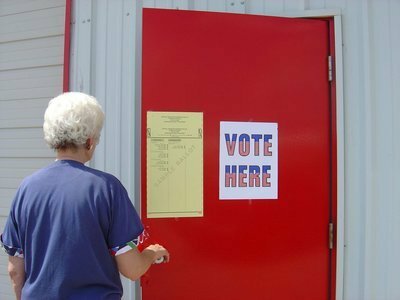 Proposed 2013-14 spending plans in six Long Island school districts were rejected by voters in May, and today residents are heading back to the polls to recast their votes. Last month, Sachem proposed a 7.49% tax levy increase, the largest on Long Island and in Suffolk County; and the Baldwin School District proposed a tax levy increase of 7.0%, the largest increase in Nassau County. Now, according to a Newsday report, Sachem and Baldwin, along with the East Quogue and South Country school districts have proposed spending plans with tax increases that are equal to or less than state tax-cap limits. In order for them to pass, voters must approve of them by 50 percent. According to officials, Baldwin and Sachem are each seeking a 3.14 percent increase, equal to their tax-levy limits. The South Country district is proposing a 0.95 percent increase, just below its 0.98 percent limit; and East Quogue is seeking a 2.45 percent tax-levy increase, just short of its 2.46 percent cap. But the North Babylon and Manhasset districts are again looking to exceed their respective tax-cap limits. Voters must approve of these budges by 60 percent in order for them to pass. North Babylon is seeking a 3.4 percent tax increase, exceeding its cap of 2.65 percent. According to school officials, if North Babylon’s proposed $112,010,068 budget is again rejected by voters, the district will operate on an austerity budget that would force the elimination of all sports teams, including varsity and junior varsity, along with all extracurricular activities. If Manhasset’s $86,176,419 budget passes, taxpayers will realize a 1.97 percent tax-levy increase, above the district's cap of 0.15 percent. If, however, the proposed budget does not get the required 60 percent vote, the tax levy will drop to zero, generating school cuts. Manhasset superintendent Charles Cardillo told Newsday reporters he has been encouraged by the community's response to the revised budget. "Many people seem pleased that the revised budget is able to maintain the integrity of the core academic programs at the elementary, middle school and high school levels while at the same time continuing to place a high value on maintaining the arts, athletics and after-school programs," he said. While tax-levy limits for each district are calculated using a 2 percent growth factor, they vary widely since, according to NYS law, each individual school district must follow an 8-step calculation process to determine its levy limit. That limit is then used to determine the level of voter support required for budget approval. What’s your opinion? Include your comments below or on our Long Island Living Discussion Forum. Subject: LongIsland.com - Your Name sent you Article details of "Long Islanders Head to Polls for Six School Budget Re-votes"